TIANS prides themselves as the champion of advocacy for tourism issues in Nova Scotia. 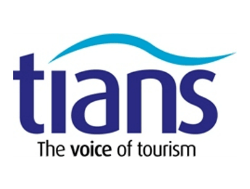 By listening to their members, TIANS is fiercely working on their behalf with a passion for the tourism industry, sincere compassion for their well-being and the desire to advance change. In working with their partner associations and stakeholders, they ensure that they are involved in the development of the tourism industry at the regional, provincial, and national levels.